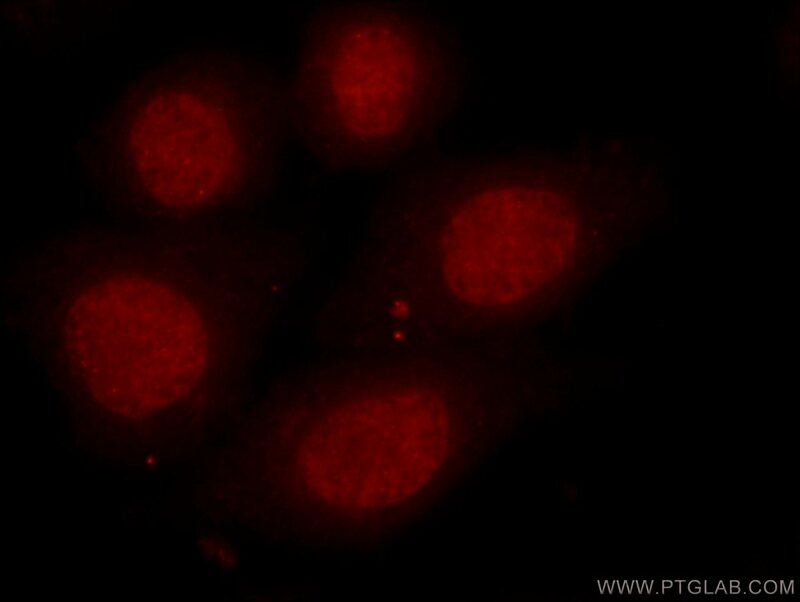 IP Result of anti-HDAC1-specific (IP:16160-1-AP, 4ug; Detection:16160-1-AP 1:500) with mouse testis tissue lysate 4000ug. Histone deacetylases(HDAC) are a class of enzymes that remove the acetyl groups from the lysine residues leading to the formation of a condensed and transcriptionally silenced chromatin. The protein encoded by this gene belongs to the histone deacetylase/acuc/apha family and is a component of the histone deacetylase complex, which is responsible for gene expression silencing. It also plays an important role in the control of cell proliferation and differentiation by interacting with RB, p53 and other transcription factors. At least 4 classes of HDAC were identified. As a class I HDAC, HDAC 1 was primarily found in the nucleus. 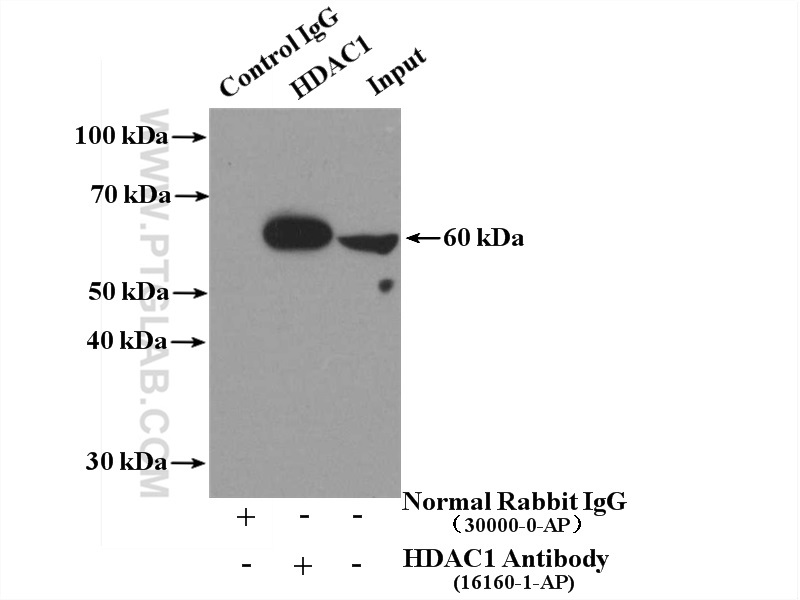 This antibody is a rabbit polyclonal antibody raised against a peptide mapping near the N-terminus of human HDAC1 and is speicifc to HDAC1. It does not react with other HDACs.